Pharos Research has reiterated their fair value (FV) of EFG Hermes at EGP 23.8 per share, with an “Overweight” recommendation. The Egypt-based leading investment bank may boost its investments in the non-banking financial services sector which makes up 25% and 17% of the company’s 2018 revenue and net income, respectively, Pharos said in a research note on Monday. 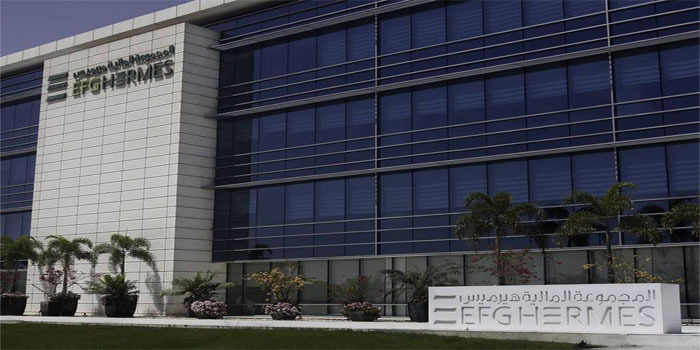 Last week, EFG Hermes reported a consolidated profit of EGP 1.05 billion for fiscal year ended 31 December 2018, versus EGP 1.24 billion in 2017. The firm’s revenues stood at EGP 2.4 billion last year, up from EGP 1.98 billion in 2017. Meanwhile, standalone profits reached EGP 595.27 million in the 12-month period ended last December, compared to EGP 94.4 million a year earlier. It is worth noting that EFG Hermes’ board of directors had proposed a cash dividends distribution of EGP 0.65 per share for FY18.